I've been coveting a Natasha Denona palette for the longest time. I thought I was settled on buying the #9 palette as a 'tester' but I loved the larger (and infinitely more expensive) 28 pan Green Brown palette. Then I realised that the 5 shades in the #9 palette are actually in the 28 pan palette, so if I bought the #9 and loved it, and then splurged on the 28 pan I would already own 5 of the shades. It was all very confusing so in the end I did nothing. Then the Star Palette launched and I was smitten. Then the Sephora VIB Rouge sale happened and I was sold. The palette retails normally for $169 and there are 18 pans in the palette. That's $9.50 per shadow for 2.5g of product in each pan. MAC eyeshadows are 1.3g and cost $16 each. See where I am going with this? #Justification And trust me, I own more than 18 MAC eyeshadows. The packaging is a little bit unique-and not necessarily in a good way. It's definitely bulky and not particularly travel friendly. I like the space gray leather lid but I hate the fact that the names of the shadows are on a plastic insert rather than the palette itself. Spoiler alert-the palette really is a bit of a mixed bag. There are some horrendous shades to work with in here and a couple of amazing ones. 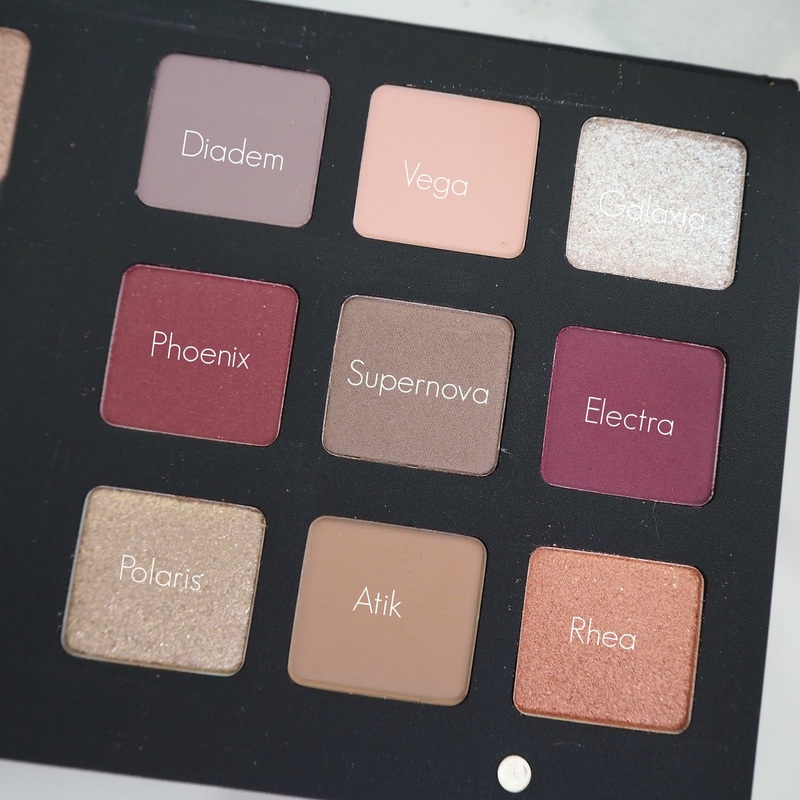 When I first swatched it, I have to say some of the shades gave me Huda Beauty Rose Gold palette vibes-a palette I reviewed here, hated and sold on. And some of these shades are honestly worse than the Huda ones. There are 4 finishes in the palette-creamy matte, crystal, duochrome and metallic. 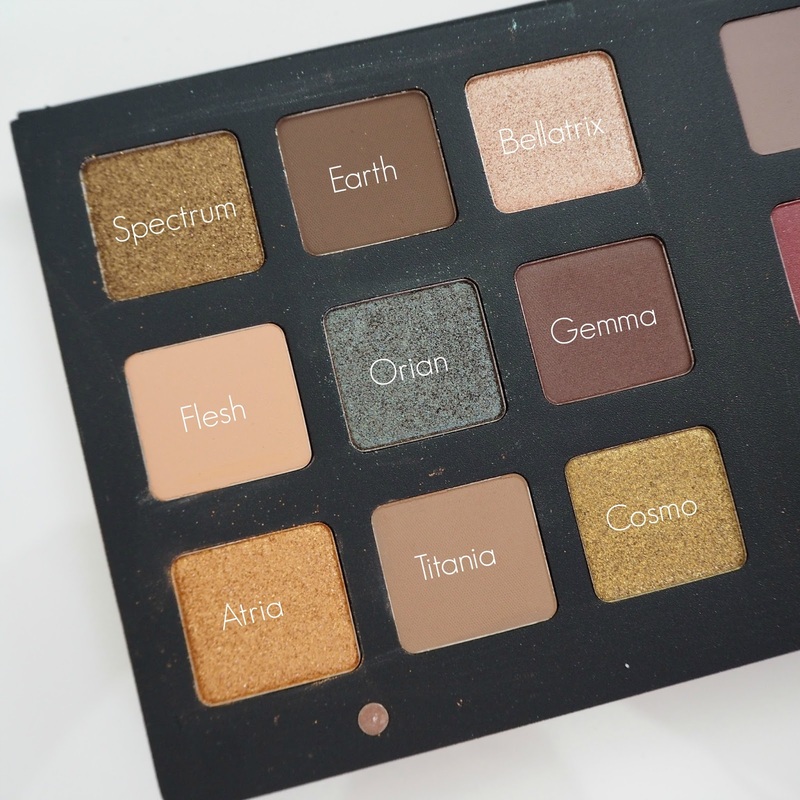 Before I give you a run down of the shades, my main tip for using this palette would be to do your eye make up first. Especially if using the Crystal shadows where there is an enormous amount of fallout. I couldn't even clean up the fallout from Galaxia-I literally had glitter all over my face. A wipe or cotton pad soaked with micellair water should clear up the rest before doing the rest of your make up. Also try to use a dampened brush with the more shimmery shadows and pack them on the eyelid. It's definitely not the easiest palette to work with. It's worth noting that I always use an eye primer-either a specific primer or a cream eyeshadow stick /crayon in a neutral colour as a base to boost the colour and staying powder. Earth (CM) One of the easier mattes to work with and one of the most pigmented. A very earthy matte brown with a neutral undertone. Bellatrix (M) One of my favourites, Bellatrix is a beautiful warm rosy gold shade. It applies to the lid without fallout and doesn't fade or crease. The finish of this is really pretty. Diadem (CM) One of the easier shades to work with, it wasn't horrible to blend but it took a bit of time and effort. Vega (CM) Another dusty matte although the pigmenatation of this was a lot better-the problem with this pink tone is it looks really stark against my pale skin and leaves me looking like a rabbit. Galaxia (K) Easily one of the worst eyeshadows I have ever used. It was chunky and gritty and crumbly. When applied to the lid the pigmentation was poor and the glitter from the formula literally went everywhere. I couldn't get the shade to look even across my lid either. A really disappointing shade. Orion (DC) My favourite shade in the whole palette-this is such a beautiful dense cream shadow with a deep warm red brown base and a bright emerald green shift. On the lid, the duochrome effect isn't obvious but the colour is simply beautiful. I layered mine over a Sephora eyeshadow crayon for extra grip and that meant the colour didn't fade or crease for 12 hours. I used a MAC 239 brush to pack the colour on the lid and found it easy to blend a matte shade over for crease definition and there was very little fallout. Gemma (CM) Not as powdery as the other matte shadows in the pan but a shade I am likely to use only as a liner given the depth of the shade. It has a red undertone to it meaning it enhances my green eyes. Phoenix (CM) A really disappointingly pigmented shade, even when swatched it felt dry and chalky. It's also very difficult to blend and for a colour that's difficult to wear anyway, this shadow will see very little use. Electra (CM) Another dry and patchy matte shade which is also extremely sheer and difficult to work with. Again it's unlikely to be used. Atria (M) A really warm gold-similar to something like Urban Decay Half Baked but with a ton ton more sparkle and subsequent fallout. It was also really uneven-I found at the inner corners of my eyes the product looked super metallic and thick-but it faded quickly on the outer parts of my lid. Reminded me of Huda Beauty #Blessed which was also terrible. Titania (CM) I pair this shade with Flesh quite a lot in the crease-it makes Flesh a little bit easier to work with. It's still not my favourite matte but it's easier to work with than others. Polaris (K) Another shade I really hated-very similar to Spectrum, the glitter sepatated from the base, there was barely any pigment even when used damp and it was almost undetectable when layered over Supernova. Atik (CM) One of the most powdery matte shadows I have ever used-there was so much kick up in the pan and yet the pigmentation was terrible-it was so sheer, it just blended to nothing on me. I feel like it's very similar to Titania and an unnecessary addition to the palette in honesty. Rhea (M) A warm coral with pink undertones, this swatched really nicely but on the lid I couldn't get the pigment to 'stick' very well and it was really difficult to build up. Not much fallout with this shade but overally disappointingly sheer, even over primer. 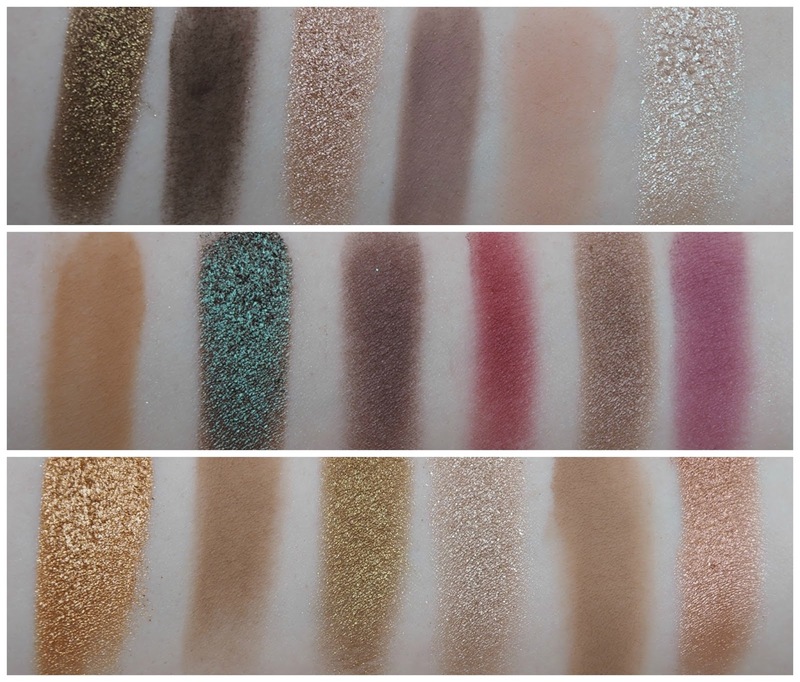 My conclusion (and I know this is a long post so thanks for sticking around, but when something is this expensive I think I would want to read an indepth review) is that I feel eyeshadow just shouldn't be this hard. Don't get me wrong, the looks I have published here I personally love but they took a lot of work, a lot of clean up and a lot of blending. Quite simply, there are better palettes out there. 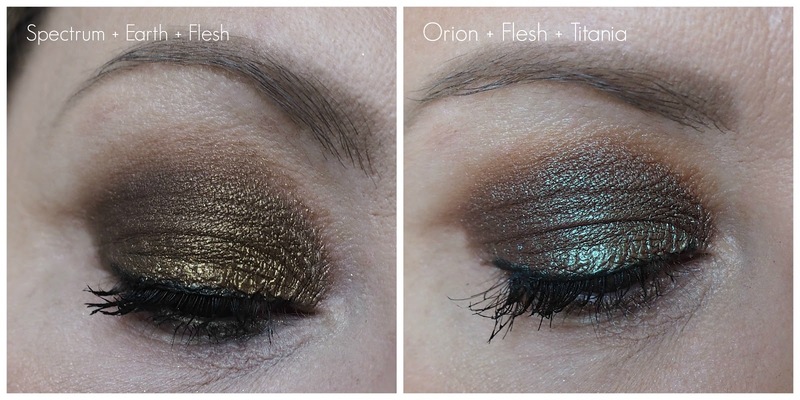 I adore a shimmery, pigment packed shadow but for me, Violet Voss or Anastasia would be my picks over this every time. I would love to know your thoughts if you have splurged on this palette-but also whether you would consider spending this amount on eyeshadow given that the actual cost per shadow is quite reasonable?